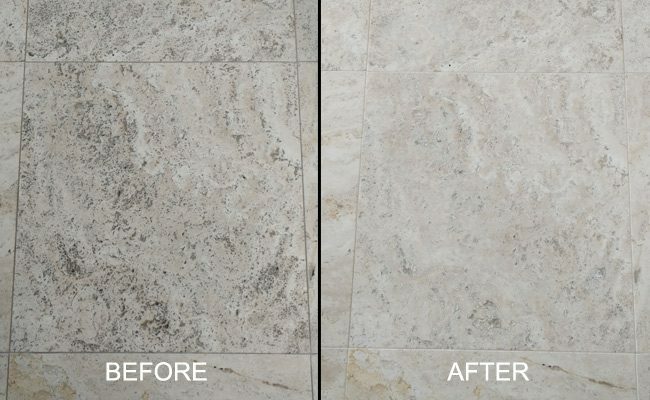 Notice the significant difference our travertine cleaning and honing services made. After our services, the travertine floor was clean, fresh, and like new again. This is what the unfilled honed travertine floor looked like when we arrived on the job site. Located in Los Angeles, this unfilled travertine floor was very dirty from traffic and use. 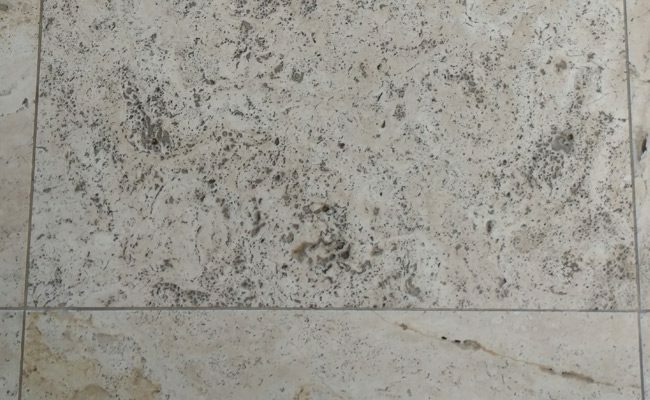 Sweeping and mopping were not enough, because the tiny holes in the travertine were filled with embedded grime and contaminants. The honed finish was also dull. The homeowners wanted to keep the rustic, natural appearance of the travertine. At the homeowners request, we did not “float” the travertine, that is, we did not fill in the holes with color-tinted epoxy. We deep cleaned and sanitized the floor and then re-honed the travertine to a low sheen, just the way the homeowners wanted. We achieved outstanding results, as usual, and the homeowners were very pleased. 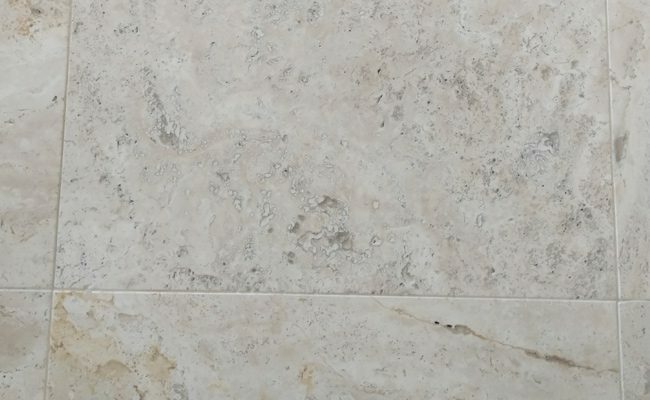 We can achieve the same high-quality results cleaning and honing your travertine. Contact us online, or call 619-246-0240 today to schedule services or request an estimate.